Our extensive range of folding chairs offers the quality and diversity you would expect to see from a leading UK supplier of office furniture. From classic tried and tested designs, to contemporary pieces aimed at creating a statement, we have a selection which can complement any space. 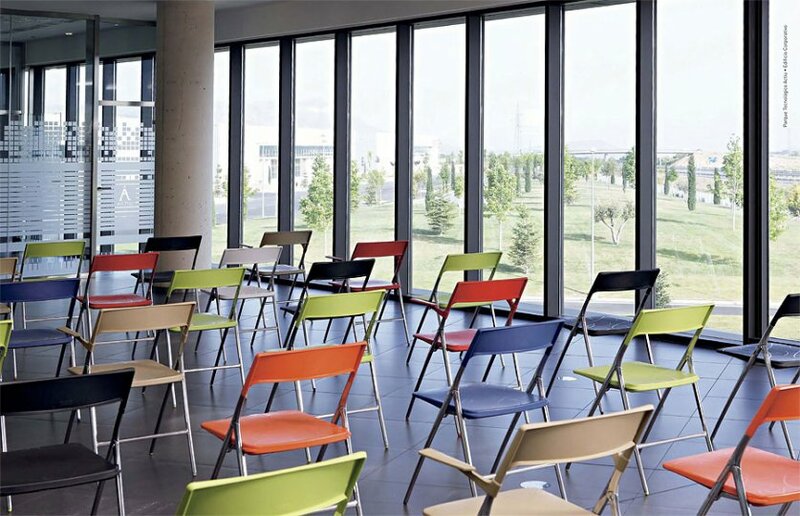 Folding chairs are practical and cost efficient; providing the ideal cheap seating solution for conference rooms and presentation areas to more informal meeting spaces. They offer a convenient alternative to conventional conference furniture and are much easier to store in smaller or more confined spaces. We understand that image is important, and furniture which doesn’t match your brand or décor will simply not do! This is why we have worked hard to offer a range of designs and colours to suit any environment. From ingenious Flux plastic folding chairs with ultra-modern and durable design to the more conventional Plek designer folding chair range, we have products to suit every office interior. This proves even more important when considering furniture for use in busy areas which will have high levels of usage. High quality design and manufacturing guarantees our chairs will not only turn heads, but also handle anything you can throw at them.